We work with local providers to offer a variety of therapies. Sessions take place at Boswedden House or at the local therapist’s office. If you are interested in any of the therapies on offer, please contact us. Alternatively you can you visit our Meet Our Therapists page where you can contact the therapist directly. A gentle form of body therapy performed in warm water (≈ 35 °C). It combines elements of massage, joint mobilization, shiatsu, muscle stretching and dance. The receiver is continuously supported while being floated, cradled, rocked and stretched. Moments of stillness alternate with rhythmical flowing movements, which free the body in ways impossible on land. The warm water relaxes the muscles and supports the spine. With this support and without the weight of the body, the spine, joints and muscles can be manipulated and freed in a way unique to water work. While other modalities are based on touch, the holding that working in water necessitates, brings the receive to a new level of connection and trust. This, combined with the therapeutic benefits of warm water and the greater freedom of movement it encourages, creates a modality that can effect every level of our being. NB. Sessions must be booked at least 36 hours in advance as the pool has to be especially heated for the treatment. Aromatherapy is an ancient holistic treatment using essential oils extracted from plants to improve physical and emotional wellbeing. The essential oils used are of the finest quality and possess distinctive therapeutic properties. For each individual client the therapist will choose a selection of oils suited best for the conditions/health issues to be treated. Through a whole body massage the oils are applied to the skin entering the blood stream, which increases the healing potential of aromatherapy. Depending on the client’s preference the massage can be structured to be calming and relaxing or to be invigorating and energising, working from gentle strokes to deep tissue techniques according to the client’s needs. 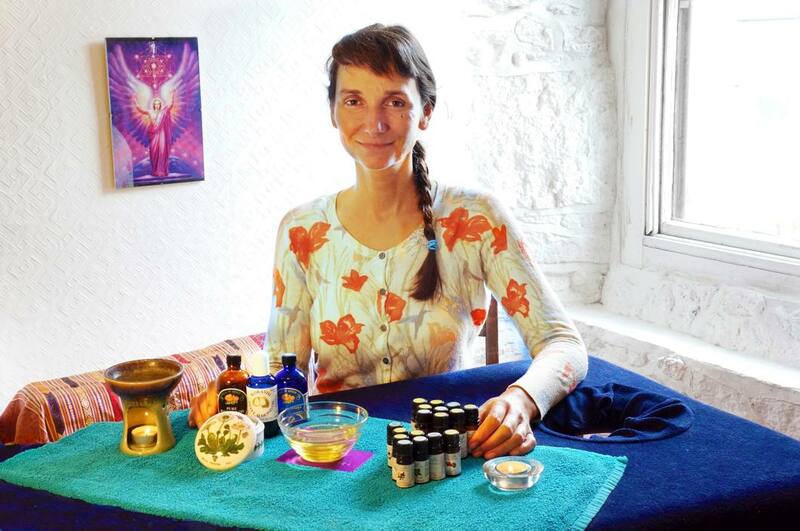 Aromatherapy is a safe and gentle treatment that offers a deep space of relaxation and nurturing, helping to de-stress, enhancing the feeling of well-being, supporting the body to heal and boosting the immune system. This massage consists of massaging the chakra and meridian lines in the body releasing blocked energy making you feel light, refreshed and energized. This full body oil massage begins with Traditional Thai twists and stretches design to open and relax your body. The practitioner then holds onto a rope suspended above their head and applies warm therapeutic oil with their bare feet using long deep rhythmical strokes (chavutti). A traditional full body massage using fragrance-free oil; by employing a range of massage movements this treatment is designed to work on areas of tension in the body that often feel knotted and uncomfortable. Also referred to as Stone Therapy Massage is a rediscovered ancient healing modality that applies the principles of (geo)thermotherapy, deep-tissue manipulation, energy field and chakra work. All used in perfect combination in order to create balance in mind, body and spirit. This advanced therapeutic massage creates a safe space to experience the deeper dimensions of relaxation, health and wellbeing. Heated basalt rocks of various shapes and sizes in combination with white marble stones are used in a gentle alternating way through massage and placement of stones on specific body zones to enhance the body’s own healing abilities and to create a deeply calming and yet invigorating effect. 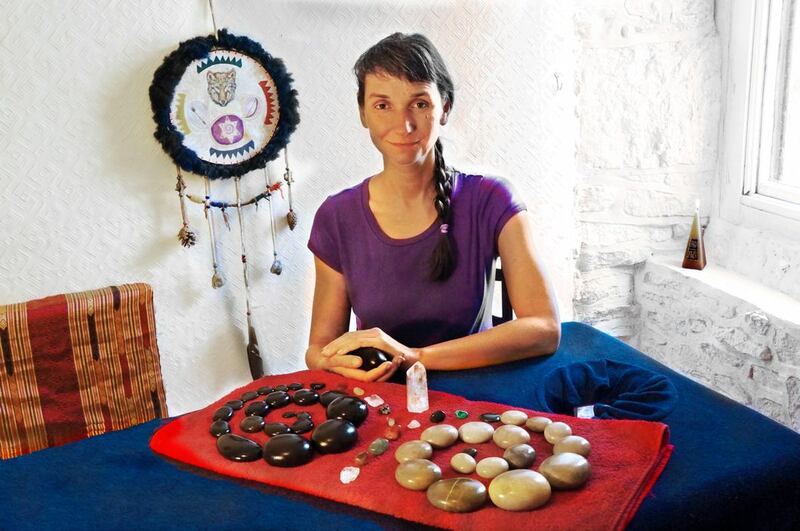 In addition aromatherapy oils, healing crystals, and electro-magnetic waveforms generated by tapping particular stones to penetrate deep into the tissue, joints and bones are used to create a unique and powerful healing experience. Each treatment is tailored to individual client’s needs and health conditions. Slow rhythmic movements to stimulate the scalp and clear your mind. Reflexology is an effective and gentle form of therapeutic treatment, which is applied to the feet. It treats the body holistically and helps promote the body’s own healing processes.